Holmes” in 1994 and in the two one hour films, “The Sign of Four” and “The Hound of the Baskervilles”. The “Hound” was one of the best versions ever and Hardwicke did a sterling job (though I have yet to see a decent “Hound from Hell”). Hardwicke had a hard act to follow in Burke. Both men played Watson as courageous, intelligent, honest, quick witted and with a sense of humor; not taking Holmes too seriously when he didn’t deserve to be. The difference between the Burke and Hardwicke could be found in the last statement. Burke seemed to be having more fun with the part. Hardwicke seemed at times too intense. The problem is that they were both so good that it seems to rankle a bit to say anything negative. Hardwicke on his worst day was superb. Hardwicke who used Watson to keep the shows together and interesting. I would dearly have loved to have seen him and Brett in their stage production, “The Secret of Sherlock Holmes”. It must have been an amazing production. In addition, Hardwick made some six audio recordings of Doyle’s tales. Edward Cedric Hardwicke (AKA Edward Hardwick in some billings) was born on 7 August 1932 in London to Sir Cedric Hardwicke and Helena Pickard. Edward spent much of his youth in Hollywood where his famous father was busy in the movies. After WWII he returned to England, he was now 15 and went to Stowe School. In 1951 and 1952 he was in the RAF and trained as a pilot. After the service he studied at the Royal Academy of Dramatic Arts. He played at the Old Vic, The Oxford Playhouse and the Nottingham Playhouse and in 1964 joined Laurence Olivier’s National Theatre. Edward had made his film debut at the age of ten in1943 in the movie “A Guy Called Joe” with Spencer Tracy. His next film would not be until 1954 in “Hell Below Zero” and by 1959 he was making his mark in TV. In addition to the role of Dr. Watson, Hardwicke was best known as Captain Pat Grant in the TV series “Colditz” based on Pat Reid the author of the book and real hero of WWII. In all, he would have113 credited film roles. His list of stage productions fills four pages of type. Edward Hardwicke passed away just a few months ago, 16 May 2011. He left behind his wife of 16 years, Prim Cotton, two daughters and a stepdaughter. He was an exceptional talent that was under appreciated. 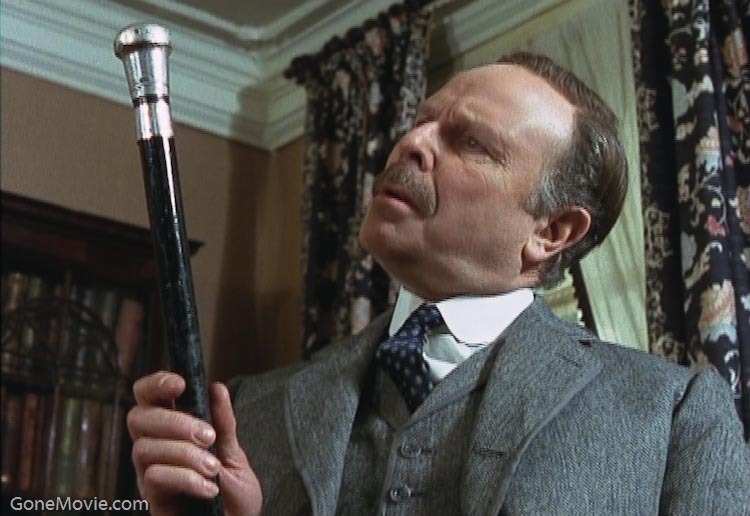 I can’t chose between David Burke and Edward Hardwicke as Watsons, because I find both of them excellent. But I’m very fond of the late Jeremy Brett and grateful to Edward Hardwicke because of his ongoing dedication to his “friend and colleague”. He looked after him during his illness and, after his untimely demise, did his best to get his memory honoured. He was the first and warmer supporter of our campaign to get Jeremy Brett awarded a posthumous BAFTA. He was faithful, generous, and quite unselfish. He deserves admiration not only as an actor, but also as a man. It has never ceased to amaze me that Brett was so unrecognized as the tremendous actor he was by the”powers that be”. His recognition for a BAFTA is greatly overdue. I have visited the site and have signed the petition. I also have promoted your cause among my friends. If I can do more please contact me. 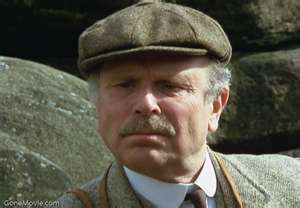 Hardwicke was an excellent portrayal of Dr. Watson. How do you think Jude Law did in the recent Sherlock Holmes movie? I think he did good. If you could contact some American actors and writers, it would be great job! I only mention this because you might want to fix it, but you have “Watson’s” with an apostrophe-S in the title and at least once in the article when it’s meant as plural and not possessive. Yeah, my fingers work faster than my brain sometimes. Thanks for noting. I love Edward Hardwicke as Watson, but I prefer Burke to him. The only difference between them, wich changes a lot the series for my taste, is that Burke was a funnier and more innocent Watson than Hardwicke. But I haven’t found the perfect Watson. Still, Burke is the embodiment of Watson for me, just as Jeremy Brett is the unquestionable embodiment of Holmes.